For our second instalment of Off The Cuff, we bring you O'Flynn to another small venue in Birmingham. From the curators of TEKTU and Resonate. 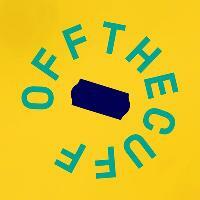 Off The Cuff is a brand focusing on House, Techno & Disco in intimate venues. For our second instalment of OTC, we're bringing you a well known selector on the current scene... O'Flynn London DJ & producer O'Flynn is one of the most exciting young artists making dance music today. His influences in his productions and DJ sets are a truly global affair, and as such we're immensely excited to what he will bring to the table on October 19th. His tunes have been supported from the likes of Four Tet, Denis Sulta, James Blake & Gilles Peterson, his latest single 'Tru Dancing' was one of the songs of the summer, and lets not forget Tyrion & Desmond's Empire. Having recently landed an album deal with the legendary label Ninja Tune, O'Flynn's future is someone to keep your eye on. Please note, all our OTC parties are small, dark and intimate. This way we keep the special vibe we try to achieve and only let the right people through the doors... We are limited to only 250 tickets so grab one whilst they're hot.